My I AM Presence - Who is John the Baptist? 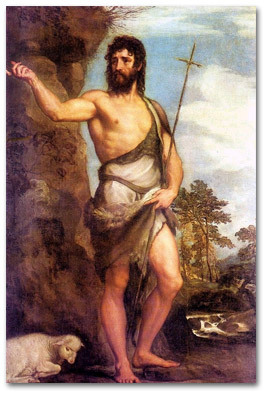 Who is John the Baptist? The story of John the Baptist in the New Testament and the Prophet Elijah, in the Old Testament is the story of the same soul reincarnating again. Jesus himself declared that John the Baptist was Elijah come again. The relationship of Jesus and John the Baptist is a story of great devotion, love and respect—beautiful to behold and seldom equaled. It is the story of guru-chela, master-disciple relationship. Copyright © 2012 Summit Publications, Inc. All rights reserved.